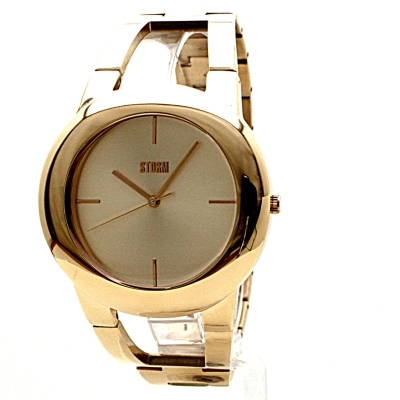 STORM Suria 47295/RG is an incredible interesting Ladies watch. Case material is Stainless Steel while the dial colour is Pink mother of pearl. This model has got 50 metres water resistancy - it can be submerged in water for periods, so can be used for swimming and fishing. It is not reccomended for high impact water sports. The watch is shipped with an original box and a guarantee from the manufacturer. Firstly, very happy with the watch. Its elegant, thin and well designed. The strap is a good size, but no links were removed it was going on a fairly large wrist. Im not supposed to review the service, but it was exceptional! Ordered Friday lunchtime and came before 9am Saturday morning - superb!! !